It never fails that I wait until the seasons change to start thinking about all the garments I want to sew. A wise sewist would plan in advance and be ready with a least a few completed projects when the season officially hits, but not me I procrastinate. I say this to share with you that I just put together (ie jotted down in my sewing journal) what I want to make for this Fall/Winter season. First up a few of the projects I have started. NL 6226 is an OOP pattern for a lined bomber style jacket. I wanted to make an Ankara print bomber and couldn’t decide between this pattern and McCall 7100. Since my sister not so subtly requested one for herself, I decided to test both pattern so see which I like best. I started with the New Look because honestly it had less pieces and it included a lining unlike M7100. I had some issues with this that I will blog about later but long story short I sewed it up to small and lost interest. Hence it remains unfinished on my dress form. Speaking of this pattern I cut out the pieces for this jacket out of another ankara print for my sister but those pieces have not made it anywhere near my sewing machine. As soon as I finish the order I’m working on I’ll try to get back to this. Apparently I’m on a bomber kick right? Well if my sister and I were going to get one I couldn’t leave out Lil Miss so I started on hers in conjunction with mine but stopped after I misplace a front bodice piece. It has since been found, but not restarted. I just did a blog post on these. Check it out here. I’ve already sewn and reviewed this pattern on the Fabric Mart Fabricista blog to see how it turned out! Now on to my long list of projects I hope I get to. McCalls 7100, yes I know its already listed but I one to make a knit version and I have 2 quilted double knits that I think would be perfect. I just need to decided which one. I think the other will be a sweatshirt. S8177. I really like this duster length coat. I need to decide if I want to make it in a medium weight wool or a heavy ponte knit. McCalls 7262 I have already made two of these but neither were for me. So I think it’s about time I get one. I have this large print houndstooth knit that I think has the perfect scale for this jacket. The hoarder in me hates to cut into this fabric and houndstooth in my favorite print and ponte is my fave fabric. I want to make sure I use this for the perfect project and I’m not sure this jacket is “special” enough. View B of McCalls 7186 is right up my alley with it’s ruching in the midsection great for hiding a holiday tummy. I have a burgundy ponte knit that I think I will use simply because I have about 3 yds on hand. McCalls 7430 is a simple dress pattern I almost didn’t purchase. I figured I could chop up M6886 and get the same result, but at $2 on sale I went ahead and grabbed it to save myself some time. I love a colorblocked dress so I purchased this pattern when it came out in the Early Fall McCalls collection. I have some smaller ponte pieces in pink and gray that I want to use for this dress, I hope I have enough. I see view B of Burda 6829 in a stretch velvet, maybe because that is what’s on the pattern envelope? What I can’t decide is which color and where I would ever wear a velvet dress, but those are just details, it’s on the list. Burda 6851 is a pattern I’ve had for a while. I loved the colorblocking and had to have it. I spent a few days contemplating color combos and then I forgot about it. Recently, Anita of Anita by Design posted about her AMAZING version of this dress and now it has been moved up on the to sew list. I said I was going to attempt Vogue 9032 last year. Pants are still my least favorite garment to sew because the fit is so crucial. I’ve had a few turn out ok, but others not so much. Still I’ve heard this is a great pattern so I want to give View C a try. I’ll definitely start with a muslin, (which I never do), then use a woven with some stretch. As much as I love V9032 and despite the amazing review I might start my pants sewing with Simplicity 1017. This pattern is apart of the Simplicity’s Amazing Fit line and features a contoured waistband and wide leg fit. I am thinking these will be more forgiving in regards to fit and will pump me up to attempt the more fitted silhouette of V9032. I’ve never claimed to have a desire to make my own jeans but if I do it will definitely be Simplicity 8222 by Mimi G. Jeans truly seem like a ton of work to construct and not look homemade. All that topstitching, all those pattern pieces…SIGH. Maybe if I had a problem finding jeans that fit, but I don’t. I get most of my jeans from Old Navy or Target and usually on sale. Still it seams like a good challenge for a on going project and Mimi does offer video sew alongs for all of her patterns and that should help me stay motivated. Joggers aren’t pants exactly, I mean they are glorified pajama bottoms really. Still they are comfy and lil miss has been requesting some so I might as well sew myself a few while I’m making hers. Simplicity 8268 includes a pattern for adults and children so I’ll be using this to make matching jogger soon. M6839 has been on my to sew list for 2 years! I love the drape back of View B. I must get this done this year. I’m thinking something holiday festive, maybe the red jersey or the gold sweater knit in my stash. The collar of View A of Butterick 6132 is interesting to me and I want to try it. My love for all things colorblock means I must make view B as well, mostly like in black and white but I want to do an actual color pairing as well. Last year I made V9111 twice, which is rare for me. I just loved the criss-cross front, I actually still plan to make it one more time lengthened to wear as a dress. This year I’m going to try McCalls 7127 to see if I love the criss-cross detail as much in the back as I do the front. I also like the keyhole back of view C.
So though I’m sure I won’t get to all of these, this is my goal. I’ll settle for 2 in each category, but we’ll see. I’ll be blogging along the way so you’ll can keep me accountable. 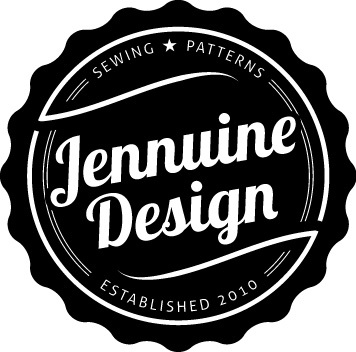 What are your fall/winter sewing plans? When did you start sewing for fall? Do you sew ahead a season? or for the current season? How soon will you start switching over to spring sewing? This is a great list. I plan to make another bomber and a sweater as soon as I finish my jacket. I’m impressed with the organization of your list! Thanks Kaye. I hope I finish one of these bombers. I have so many things on my list and my list keeps changing with every whim. Whatever happens whenever! Your list looks fabulous! My list never really goes as planned. I always try though! Hey Tiffany! You know, I think I tried several times to order my projects (not nearly as neatly as you have demonstrated) for future sewing. Once, I even went as far as putting the patterns with the fabrics and notions that I was planning to use. My problem is that something more interesting always comes along and I go off course. Then something else totally amazing catches my eye, and I’m off in a different direction. So eventually those planned projects get abandoned or the fabrics are used for something else. So what I’ve found works best for me is “event sewing.” I sew according to upcoming events in my life. In between events I just sew whatever I see that I like. LOL! I have no rhyme or reason to my sewing, which works for me most of the time. However, there are times when I get stuck, not knowing what I want to sew. There have been days when I’ve flipped through all my patterns more than once, looking for some inspiration. I would love to sew ahead of season, but I just haven’t done it. I’ve done that as well (put the pattern, fabric and notions together) and that never goes well for me either. I’ll change my mind and use the fabric for something else or decided to sew another view of that pattern with new fabric.Still I like to try and start with a plan in an effort not to forget to sew my favorites. It does’t matter when you sew what or if you had planned to or not, all of your garments are impeccable! and that’s what matters! I love the new look of your site!!!!!! We have the same list about the bomber. I have left over Ankara fabric form my previous proje so I really wanna make one. Thanks for sharing.